With more than 50 million people and 50,000 villages nearby, almost half of India’s population lives within 500 km of the Himalayan mountain range. 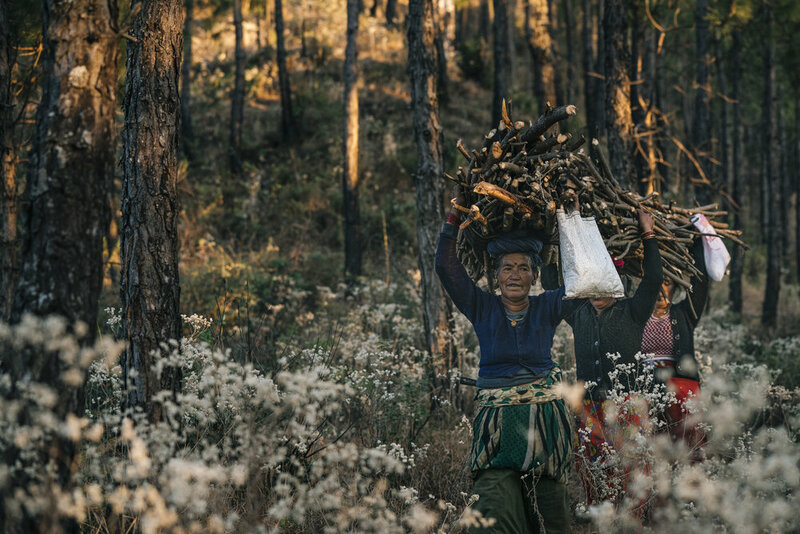 Across the Indian Himalayan region, communities are experiencing social, economic, and disaster-related impacts due to effects of climate change. For the past thousand years, ancestors of these resilient communities have acclimated to environmental change through cultural responsiveness and creativity. However, the current pace of climate change now surpasses many communities’ capacity to adapt. 20 years ago, in the Majkhali village nestled in the Almora District of Uttarakhand, Gita Mehta set up a stitching centre. Widowed at a very young age, the responsibility of raising her son and running a home and hearth was thrust upon her. She improved her knitting and stitching skills quickly emerged as an entrepreneur within her village. With help from Umang, a local NGO, she opened a training centre for girls and women and also stitches clothes on order for her village and surrounding areas. Mahila Umang Samiti (Umang), is a company located in the Almora District. The efforts of Umang benefit more than 10,000 people, with 1,500 women being the principal shareholders. The company sells a variety of goods such as spices, nuts, tea, and knitting products. In addition to commercial sales, the organization is also engaged with the Gagas river basin restoration project and helps promote family farming to reduce the environmental degeneration in the area. Umang is just one of the many projects of the Pan Himalayan Grassroots Development Foundation, often called ‘Grassroots’ for short. Since 1992, the organization has been working on a holistic development program to provide drinking water and sanitation systems, renewable energy, and community forestry, knowing that none of these issues can be solved in isolation. All efforts are focused on improving the environmental and socioeconomic landscape of communities in the Indian Himalayan Region. Over the years, Umang grew and was eventually registered in 2009, proving to be a robust business model. Umang works using the self-help group system, where small groups of women combine their money and resources for the greater good. Combining micro-financing and community, these groups empower women all over the region. 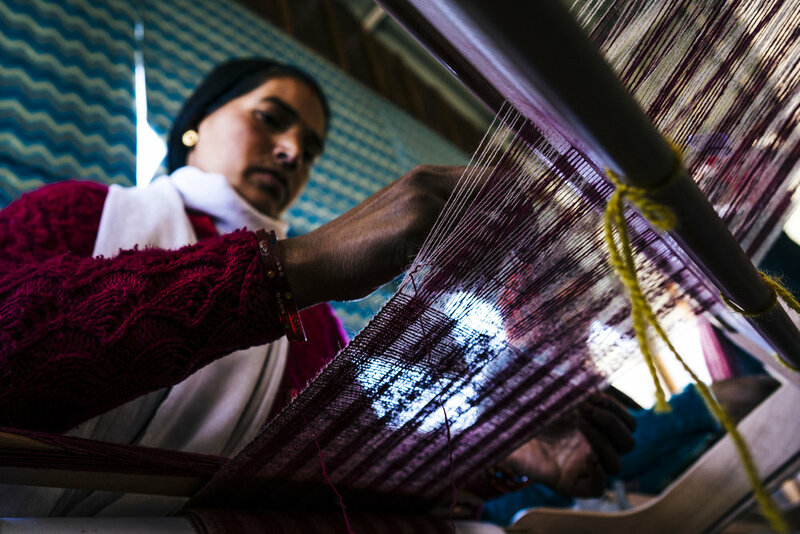 "Self-help groups lead to the strong empowerment of women as it enables access to credit on a sustainable basis and provides a unique comfort zone for marginalized women in India as well as within the fold of Umang," explained Kalyan Paul, executive director of Grassroots. The groups utilize their funds for individual loans for activities such as education, healthcare, and home improvement. A bonus is also distributed each year for the self-help groups participating, which helps many women who are the primary earners of their families. The Self-Help groups of Umang have a 100 per cent loan repayment rate, and because the funds originate from the women themselves, there are virtually zero defaults on payments. Mehta now plays a pivotal role in anchoring the self-help group movement in her region and sits as a representative on Umang’s board of directors. “Mehta commands a lot of respect in her village and goes out of her way to assist other women who may have similar circumstances like herself,” said Paul. Mehta is able to motivate women to be part of Self Help group movement and to participate in the microcredit initiative, leading to economic independence and an increase in self- confidence. For herself, Mehta’s stitching work has allowed her to save enough money to send her children to university, opening up a new leg of opportunities. This article was first featured in PWB Magazine #11, on sale now.